NC State University College of Veterinary Medicine is offering a one year residency position to a qualified applicant. Qualifications include graduation from an accredited College of Pharmacy and current North Carolina Pharmacy licensure in good standing. 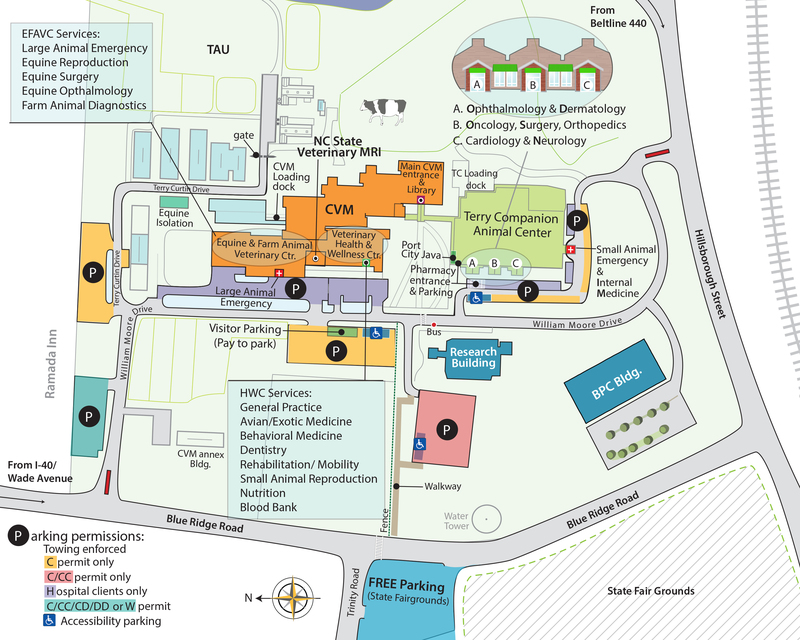 The pharmacy department at NC State College of Veterinary Medicine is a licensed pharmacy practice with the North Carolina Board of Pharmacy and is fully compliant with all state and federal regulations. The goal of this residency is to prepare the candidate for eligibility and certification by the Society of Veterinary Hospital Pharmacists (SVHP) as a Diplomate of the International College of Veterinary Pharmacy. The prospective resident will spend the majority of their time in the Veterinary Teaching Hospital under the supervision of Board Certified Veterinary Clinical Pharmacists. The resident will spend 50% of their time in clinical practice activities, participating and leading clinical rounds in small and large animal clinics and performing drug utilization review on hospitalized patients. The resident will spend at least two weeks each in the subspecialty areas of soft tissue and orthopedic surgery, internal medicine, behavior medicine, cardiology, dermatology, neurology, oncology and ophthalmology, as well as other specialty services as available. The remaining 50% commitment will be in the clinical pharmacy or clinical pharmacology laboratory providing drug information, mentoring pharmacy externs, compounding, and performing drug utilization review on medication profiles for hospitalized patients. The resident will also be actively involved in developing, implementing, administering and monitoring investigational drug studies. Time will also be spent in the Pharmacology Laboratory at the NCSU – CVM learning basic analytical techniques (HPLC) or in vitro assess to assess drug potency and stability. Throughout the residency the Clinical Pharmacy Resident will accumulate a working knowledge of Veterinary Pharmacy legal and regulatory processes at the CVM and external sites such and veterinary pharmaceutical companies, NC Board of Pharmacy/veterinary Medical Board, the Food and Drug Administration and the United States Pharmacopeia. Participation in weekly rounds with both large and small animal services is required. Mentoring rotating pharmacy students, conducting clinical pharmacy rounds and a monthly journal club is required. A research project is also required. The topic is flexible depending on the resident’s interests. The results will be written for submission to a peer review journal and presented at the House Officer’s Seminar Series. The resident is also expected to present results at the annual meeting of the Society of Veterinary Hospital Pharmacists.